Why wait until Earth Day to help keep New Jersey litter-free? New Jersey Clean Communities, a statewide, comprehensive, litter-abatement program, is seeking volunteers for its “Clean Water Challenge,” a fourth-annual event to raise environmental awareness and organize community-based events throughout the state to clean up our waterways. Clean-ups for the Clean Water Challenge will take place between March 1 and April 30. Organizers hope to surpass the number of last year’s volunteers, which included more than 1,000 New Jerseyans. Each team will name a captain to ensure all volunteers abide by program guidelines and safety rules. Team captains stake the claim to their cleanup locations, getting sign-off from host municipalities and coordinating with other volunteer groups. 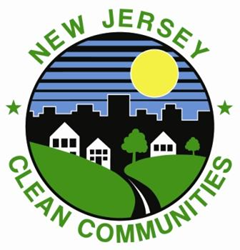 Captains will receive free bags and gloves from New Jersey Clean Communities, unless municipalities agree to provide supplies using Clean Communities grant funds. Volunteers will be honored for their outstanding service at the annual Clean Communities Awards Dinner on May 26 at the Tropicana in Atlantic City.